Yay! Postage is so expensive out of Australia, isn’t it? Makes one only want to enter email contests. 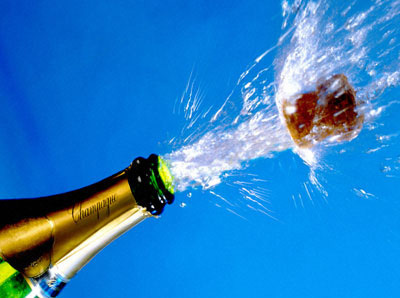 Good luck for the next selection round… and more bubbly! Thanks, Bren, for your good wishes. Email entries are such a money saver, email subs even more so. Hopefully those corks will be popping soon. I’m very excited for you. I’ll keep my fingers crossed even if you really don’t need it. Thank you, Ann, for that lovely vote of confidence. I’m excited too, but this one gets not just hundreds of entries. Still, someone has to win. Why not me? Good for you for entering Chris and celebrating what you’ve achieved so far. Ouch! expensive though. Let’s hope it’s worth it. Thanks, Dale. I hope it’s worth too, but consider it a business expense really. Got to spend money to make money, or, be in it to win. And the winner will receive a not too shabby monetary prize. I agree with you. I think it’s important to celebrate every milestone. Life isn’t always easy. Okay, life is rarely easy. So we need to reward ourselves for our achievements. My fingers and toes are crossed for you. I look forward to hearing more wonderful news with this manuscript. Thank you, Robyn, for your lovely congratulations and good wishes. I hope I get the chance to share some good news with you on this manuscript soon. Hi Chris, yes we do need to celebrate every little milestone…there are such a lot of mountains to climb over along the way. Wishing you luck. yes, lots of mountains along the way. Thank you for your good luck wishes. Hope to see you soon. Second try at replying to this. Absolutely have a glass of champagne . . . Now! Glad your lovely comment got through, Corinne. Thank you and I did.